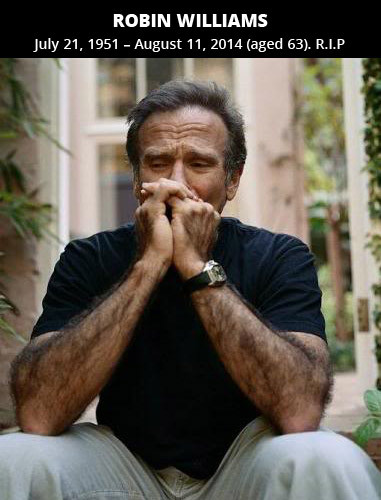 Robin Williams committed suicide on August 11, 2014 at the age of 63. He suffered from severe depression and anxiety caused by his Parkinson’s. He was a great actor and we will miss him. It is sad that we still didn’t find a cure for depression and how hard is for us to understand that pain and agony a depressed person has. It is even harder to understand what make them decide to end their lives. I wish one day scientist can find a solution to prevent people from getting sicker and depressed. And I hope people one day will help and support depressed people.